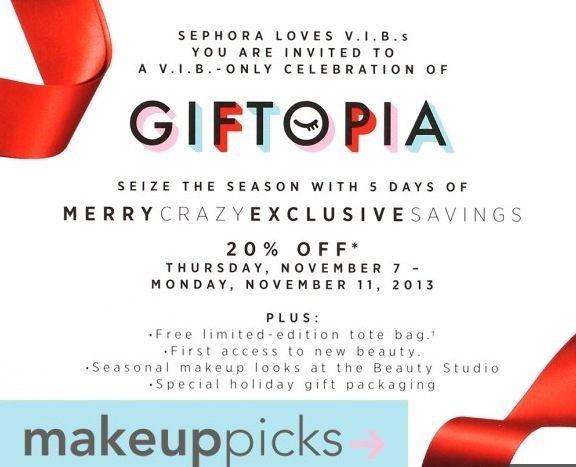 The annually anticipated VIB sale at Sephora starts this week (11/7 through 11/10) …and I for one am a slave to this fabulously wicked marketing scheme. This is a good sale if you’re buying staples or restocking on empties anyway and it’s also a good time to try out pricey new products. My wish list as you can see from the image above is long but not too long comparatively speaking. For the most part, I’m either trying out a product (new and not so new) or going back to some staples that I had replaced with other brands. As you can see I’m a Laura Mercier fan; love love all her products. Although I’m doing my best to use natural products, it’s difficult to argue that LM products are some of the best beauty products in the market and worth the higher price. Also, LM products don’t irritate my skin like cheaper brands do. I also want to try the Benefit Dandelion blush – only because I wanna see a higher end dup of the L’Oreal True Match Super Blendable Blush in Baby Blossom which I absolutely love. I’m very fair and this gives me a pinched cheeks natural look without overdoing it. The Dandelion seems to be very close to the Baby Blossom shade – so I thought I’d give it a try. Also been eyeing the Living Proof Satin Serum – Allure did a review on it (here), exalting its praises for doing the job without the help of silicone…sold! I just recently bought the Living Proof PHD (Perfect Hair Day) and after only one application, I’m hooked. I wonder if the Smooth Serum would be redundant to PHD??? As far as new make-up products, I’ve been dying to get the Hourglass Ambient Lighting powder and with the limited edition trio, it’s a good time to try it out. I’ve seen such great reviews on this product from YouTube beauty gurus — hope it works on more mature skin as well. Also getting a second Shu Uemura eyelash curler — need it for my office make up kit for those mornings when I’m rushing out the door and need to finish doing my face at work. The Shiseido cotton pads are more of a curiosity purchase – at $9.50, not so sure it’s worth it. Lastly, the powder puff is a replacement purchase – love using this with finishing powder (learned this from Francesca @cescadarling (YouTube). What about you? Do you have your eye on anything or have them in your Sephora basket already? Get ready to click “check out” on November 7th! That’s it for now!